Product prices and availability are accurate as of 2019-04-23 03:13:24 UTC and are subject to change. Any price and availability information displayed on http://www.amazon.com/ at the time of purchase will apply to the purchase of this product. Wings ePress are now presenting the acclaimed To Wish For Trust (The Wish Series Book 4) at a slashed price. Don't pass it over - purchase the To Wish For Trust (The Wish Series Book 4) here today! Lance Lincoln left Earth with his sister to become an Earth Ambassador to an empire Earth knew nothing about. Living in the palace and the 'good life' didn't suit him and he longed for more. Becoming Jahoman, a holy man, a fighting man of peace, filled the emptiness he had found because he could never return to Earth. He fears his sister wouldn't understand and he travels to Elfax to explore and think. Never did he think he'd become a slave to a beautiful Elfaxen woman. He could only Hope for Trust. Bastis Malena, rare among her kind. As a shape shifter and sister to Grand Bastis Braize, warlord of the village, many of the village men sought her. 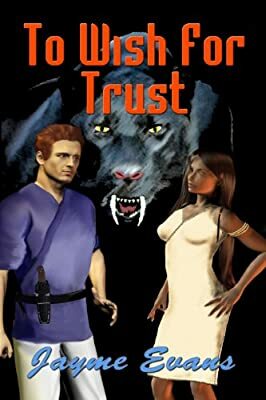 Her childhood sweetheart had been killed and vengeance fulfilled, but the docile red-haired man, brought to her as a gift, came from the planet she never heard of and didn't fit the pattern of slave. She never expected to trust this man, much less, fall in love with him. He would leave and return to the stars and she'd be alone.